I few days ago I received an e-mail from a Swede on his way to São Paulo. 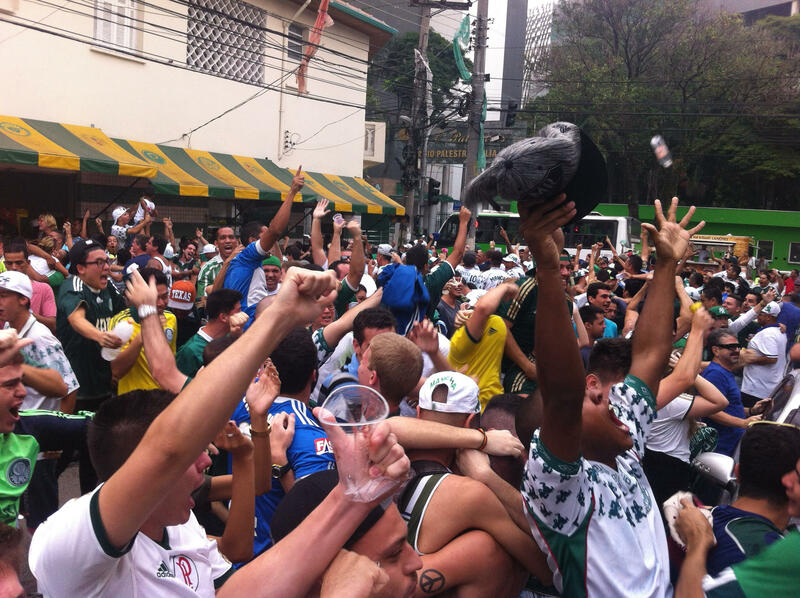 He said he felt a certain sympathy for Palmeiras and wondered how to get tickets for the semi-final. I told him all tickets destined for Palmeiras supporters were long gone and that I wouldn’t recommend him rooting for Palmeiras in the middle of a Corinthians crowd. 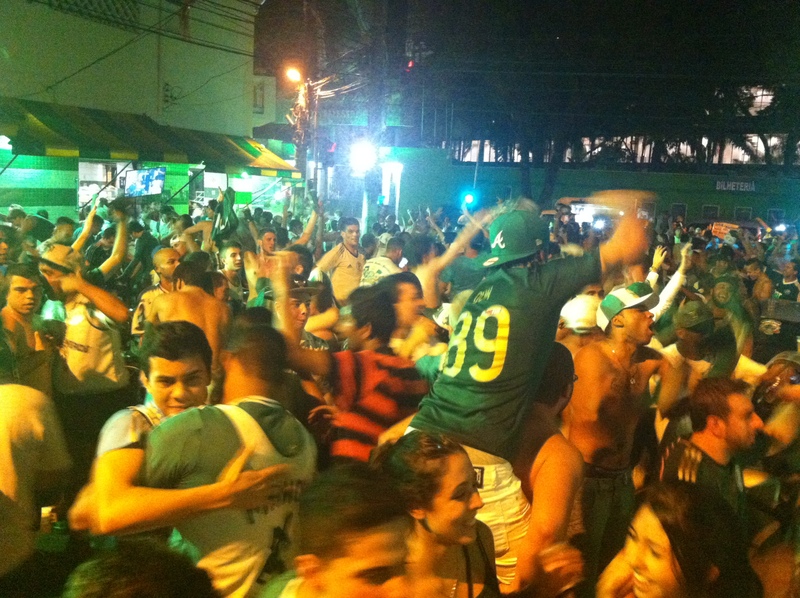 “Go to the Allianz Parque and look up any bar in that area: it will most certainly be full of palmeirenses“, I suggested. I was there. No words for that moment. Cool, Felipe. And now, you’ve also left your mark here on this space. Volte sempre and Forza Palestra!